As I have written in an earlier post, my undergraduate degree was in organic chemistry. For my dissertation, I elected to do an experimental study (the only time I had a serious relationship with the practical aspects of science) in support of a rather abstruse argument within theoretical organic chemistry in which my supervisor was engaged. 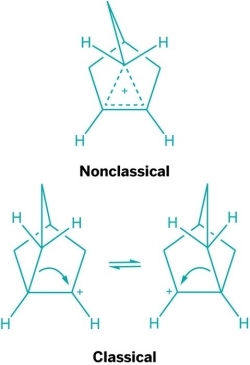 This was all to do with whether a reacting molecule did, or did not, pass though a ‘non-classical ion’ intermediate stage, with a different kind of chemical bonding than that allowed by normal theory. 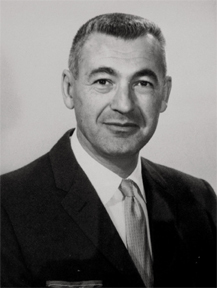 One school of thought, led by the eminent American chemist Saul Winstein, argued that it did. Another, led by the equally eminent H.C. Brown, argued that it did not. (For aficionados, this is to do with solvolysis of terpenes of the nonbornyl kind.) The feud, for it can be called nothing else, was long-lasting, and became distinctly personal in nature. My supervisor introduced me to this controversy in our introductory project discussion. 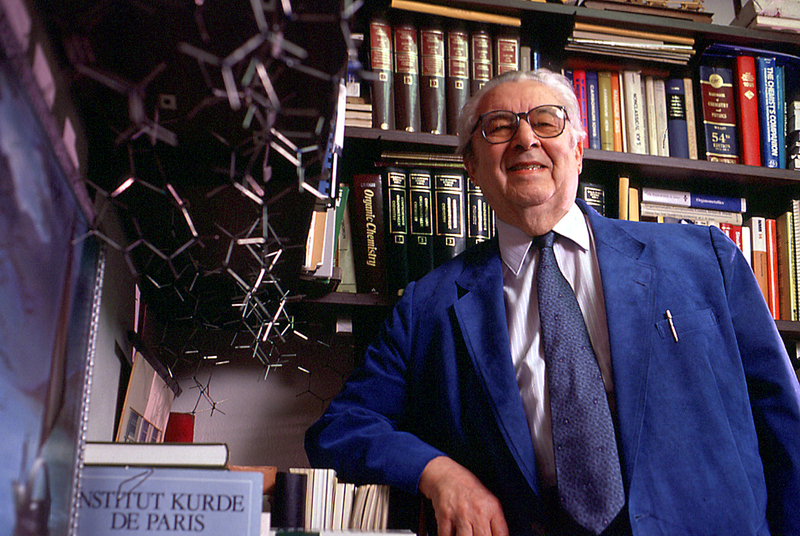 “You must understand”, he said, “that there are two kinds of men in physical organic chemistry. There are Brown men and there are Winstein men. Now, I am a Winstein man. And therefore, for the duration of this project, you also will be a Winstein man.” (Winstein, I later came to realize, had died some years previously, but this did not affect his status as team leader; indeed, papers with his name on them continued to emerge for a long while thereafter.) ‘Being a Winstein man’ meant accepting wholeheartedly, without conclusive experimental evidence, the ontological reality of non-classical ions, and being rude about people who thought otherwise. It was my first insight to the fact that science is not always the impersonal and disinterested search for truth that I had been led to believe. So, as a fully committed member of #teamwinstein, I studied reaction rates of transforming terpenes for six months. I contributed my small brick to the scientific edifice, by producing some negative results, which I was told were just as valuable as positive ones, got my degree, and moved on to other things. I have kept an eye on the progress of the controversy as it has rumbled on through the decades. I gather my team is winning, as recent crystallographic and other studies do fairly unequivocally show the non-classical structure, although the other side hasn’t quite conceded defeat. An interesting new article by William Goodwin in the British Journal for the Philosophy of Science now examines this whole topic from the perspective of the history and philosophy of science, as an example of a scientific controversy, and how such controversies can throw light on what we mean by scientific knowledge and progress. I must admit that it is rather chastening to find that something which I had mentally filed away as ‘what I was involved with a little while ago’ is now officially history. Appealing to ideas from social epistemology, Goodwin argues that such controversies, however personal and not-totally-rational in nature, may be understood in a way which does not deny the rational development of scientific knowledge. This makes me, as a good Popperian, more comfortable about my minor part in the Brown-Winstein feud. All of which sounds very much like the kind of theory we deal with in the information sciences. Perhaps this is one reason why I, and numerous others, found the move from chemistry to the information sciences so appealing and productive. Previous Post As long as we don’t pretend that it is science?